Once cookies are cooled, top with caramel and place on a second cookie sheet that’s lined with parchment paper. 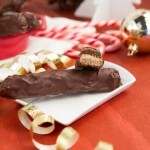 To do so, roll caramel like you did the cookies; into 3-inch tubes, and place over top of cookies. Place in the freezer and allow to set for at least 10 minutes. 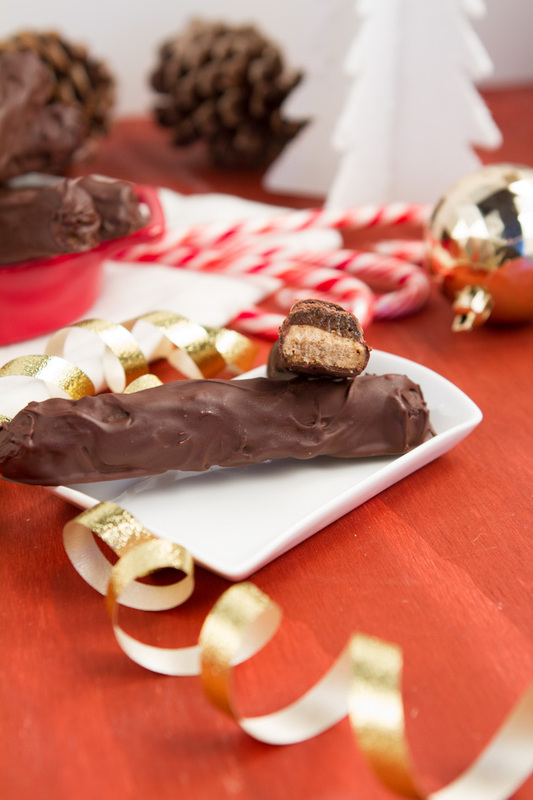 This will make the cookies easier to dip in the chocolate.